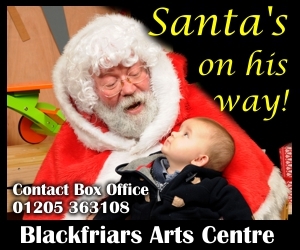 Blackfriars Theatre and Arts Centre Membership runs for 1 year from September to August and costs £10.00. All of the money raised from Memberships is used to help run and maintain the theatre. Throughout the next 12 months we will be developing the membership to include additional benefits. You can create an account for updating your details with us. Please choose a username and password below.